Why was this match not telecast for fans on TV? So, reports have come in that shortly after SmackDown Live and 205 Live were done this week, Randy Orton came out to the ring. 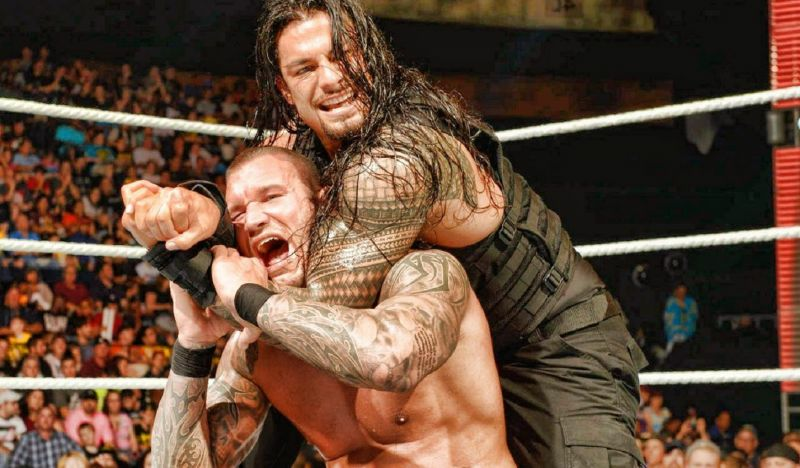 He made a challenge to Roman Reigns and a brawl ensued between the two WWE veterans. The match was a no contest, and Roman Reigns' music brought the proceedings to a close. Why was this segment booked? Let me try and make sense of the whole thing in the article that follows. Be sure to let me know your thoughts and views about this interesting segment. What possibilities do you foresee for the two men? If you need a recap of all the events that happened, please read my 'Best and Worst' weekly column. I even did a special piece on Roman Reigns coming to SmackDown. So, let's get the obvious one out of the way first. Randy Orton is certain to be Roman Reigns' next opponent and the two men must have brawled against one another as a way to get ready. Often two competitors are paired in dark matches to see if they have chemistry with each other before the big match is booked. When Ric Flair came over to WWF in the 90s, him and Hulk Hogan worked a variety of House Show dark matches to gauge whether or not they had any sort of chemistry. And because they did not, the match never actually took place at WrestleMania VIII. So a dark match is a litmus test of sorts, conducted to see if the experiment will succeed or fail. Flair and Hogan would have to wait till 1994, to wrestle on pay-per-view in WCW. Hopefully, this won't be the case with Roman Reigns and Randy Orton.